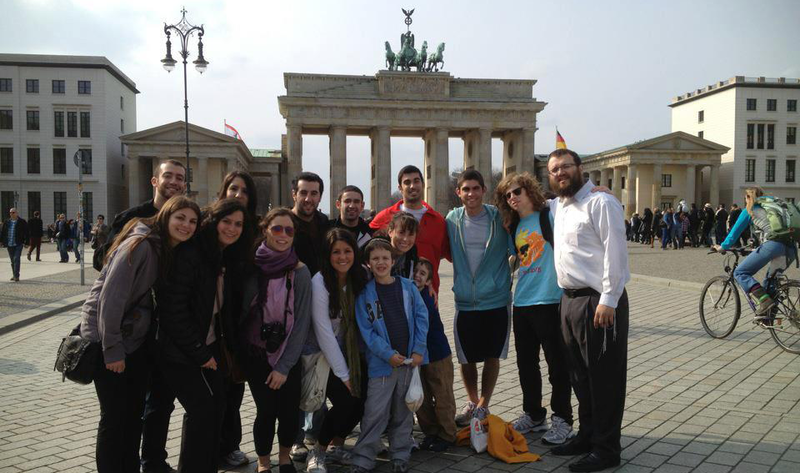 Thank you for interest in joining the Illini Chabad on Campus Alternative Spring Break trip to Berlin. Please note that seats are limited and applying does not guarantee you a spot on the trip. You will be notified via e-mail when you are accepted. Acceptance emails will be sent by Tuesday December 31 at the latest. Once accepted, you will have 48 hours to submit the non-refundable trip fee; we will not be able to hold your spot after that. What is your main objective(s) in attending Chabad's ASB Trip? Do you have any special dietary or other needs? Do you have any alergies? Please send me information about Chabad's upcoming summer trip to Israel. Participating students will have the opportunity to participate in exciting classes led by renowned lecturers, learning about Israel, the past, present and future. I understand the responsibilities of joining a group community service trip, and I pledge to participate in all programs on the ASB and pre & post trip events. I will pay the fee of $1250 (plus $250 for Prague) upon acceptance to the program. I Understand that I will be required to participate in all fundraising efforts for this trip. With a commitment of raising $1000. Note: Application is not a guarantee of acceptance. You will be notified of your acceptance by Tuesday December 31 at the latest. You will then have 48 hours to submit the non-refundable fee, at which point travel arrangements will be made. *Note the trip actually costs close to $2750 per student, The rest will be subsidized. We will also do events together to help raise funds.